019, a photo by DarrenNunis on Flickr. 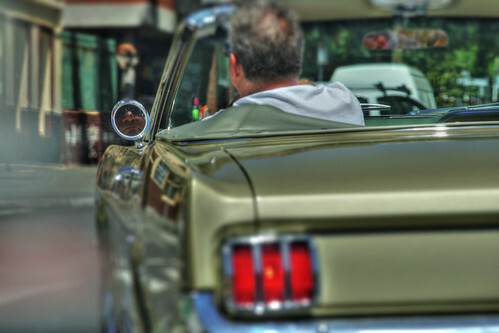 Out at the markets and this Mustang pulls up in front of us... couldn't resist this shot, especially getting the driver's face in the mirror. More tomorrow.